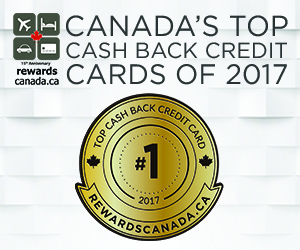 Today we delve deeper into to Cash Back rewards space as we released our first ever Canada's Top Cash Back Credit Card rankings! It was a very close race between the top two cards and really boiled down to the sign up bonus and perks/benefits provided. Find out which cards came out on top in this newest annual feature on Rewards Canada! Air Canada Vacations is offering $400 off per couple and up to 10,000 bonus Aeroplan miles when you book a European vacation by April 30th for travel until the end of October. Find out more and book here.